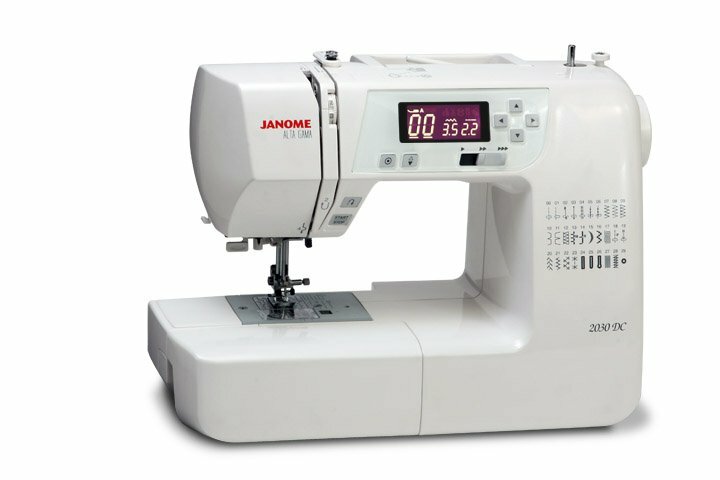 The Janome New Home 2030DC showcases the amazing quality you associate with Janome heritage. It contains a variety of features normally found only on more expensive models, including 7mm stitch width, LCD display with easy navigation, and a one-hand needle threader. The machine offers 30 built-in stitches and 3 one-step buttonholes. Easy convenience features include a start/stop button, speed control slider, auto lock button, memorized needle up/down, and easy reverse. It is lightweight for easy portability at just 12 pounds.